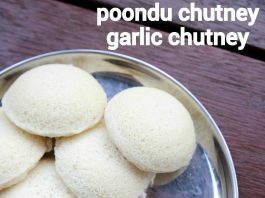 this recipe of poondu chutney recipe is one of my favourite chutney recipes, especially for morning breakfast. the reason is not just for its taste and flavour, but also for the ingredients used in it. it is basically a lifesaver when you are running out of coconut, tomatoes or any other vegetables. it is made with just fresh garlic pods and red chillies. yet it makes an ideal spicy side dish for most of the south indian breakfast dishes. in addition, it has a better shelf life compared to the other chutney recipes as it does not deal with coconut. hence this condiment can also be used as a pickle or taste enhancer and not just chutney for rasam rice, dal rice combination. 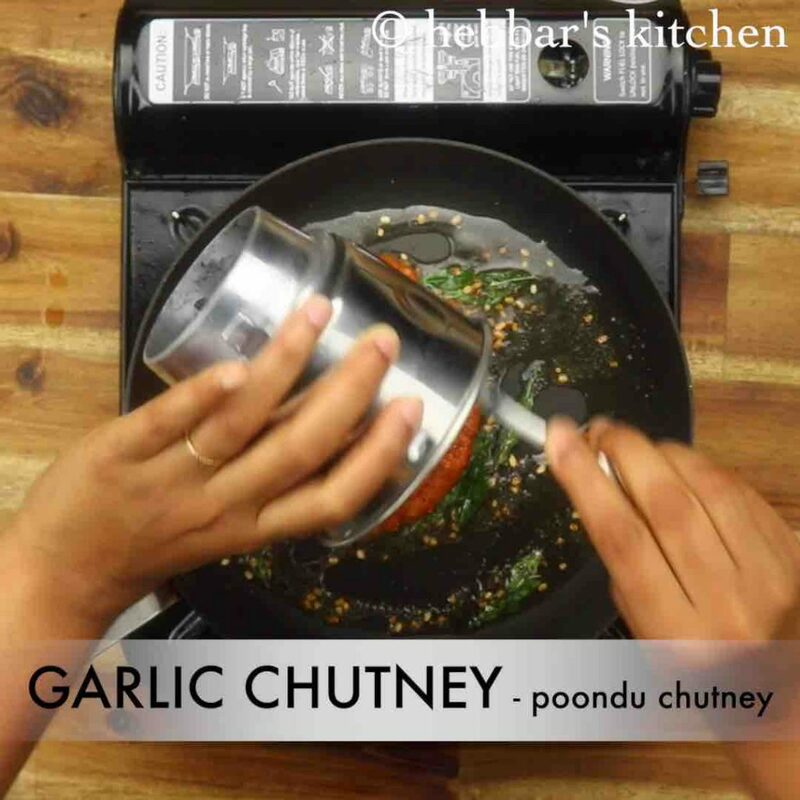 the poondu chutney recipe is simple and easy to make, yet some important tips and suggestions to be considered. 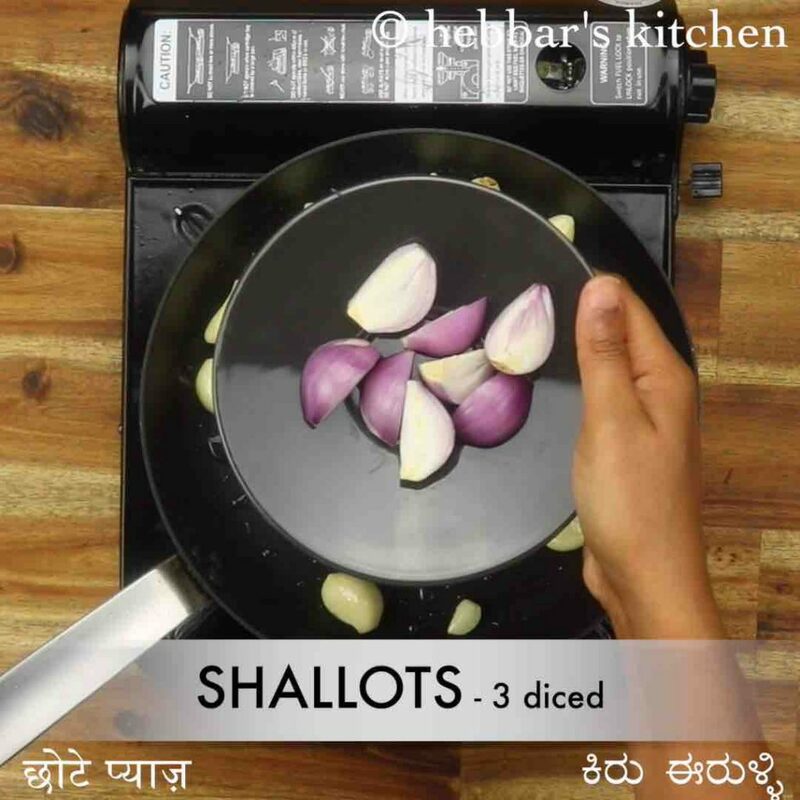 firstly, do not compromise on the freshness of the garlic pods used for this chutney. it has to be fresh for the full power and flavour of the garlic chutney. 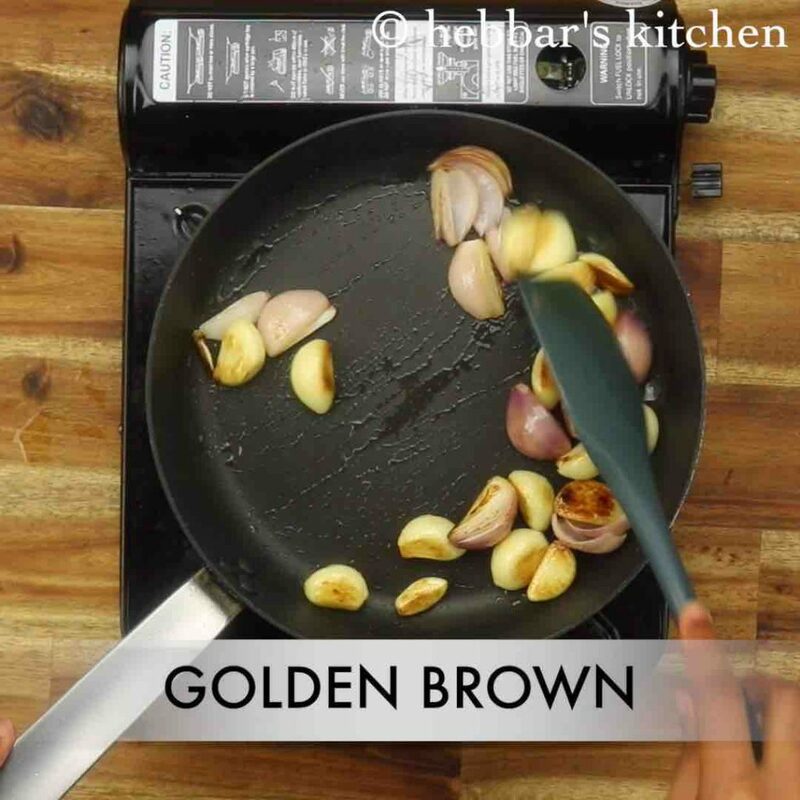 secondly, you can extend this recipe by adding finely chopped ginger or even jaggery to have a combination of sweet and spicy taste. in addition, you can also add/top or temper the chutney with fried garlic pods. lastly, i have added chutney to hot oil and sauteed for few minutes. 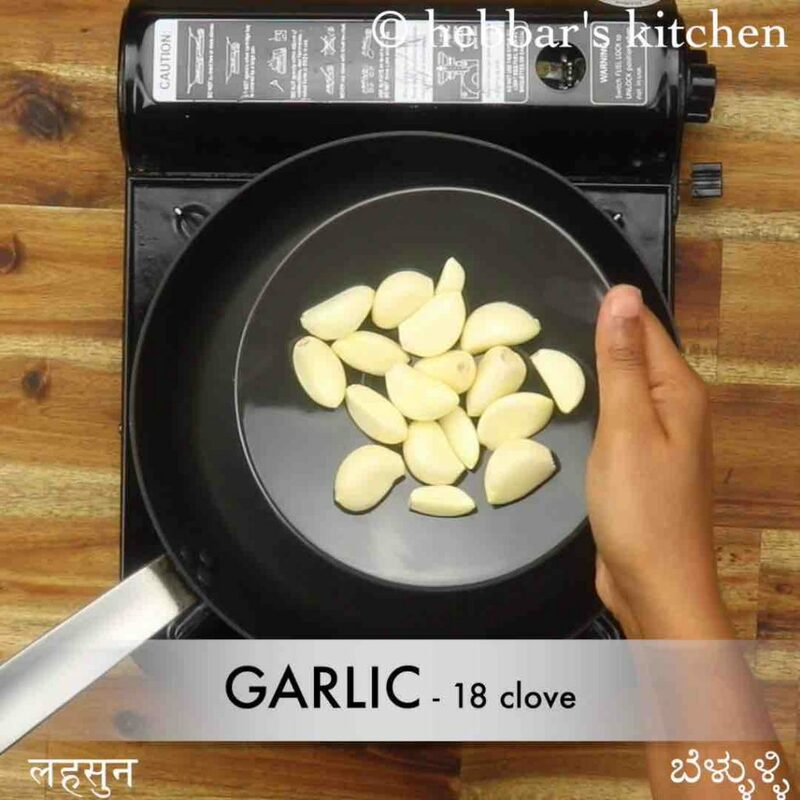 this would help to increase the shelf life of garlic chutney and last long for 7-10 days in a refrigerator. 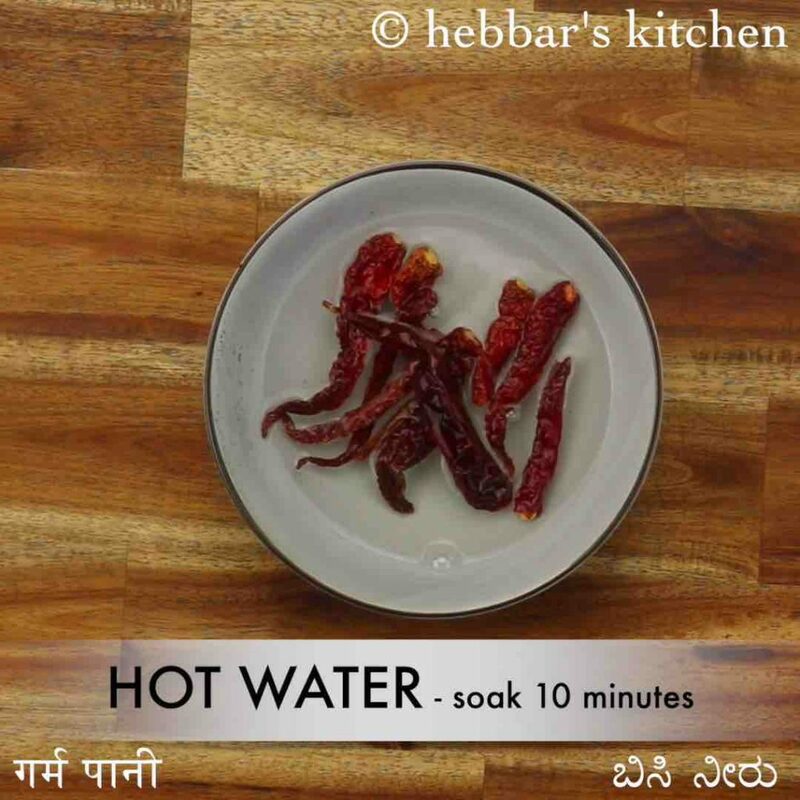 firstly, in a small bowl soak 8 dried red chilli with 1 cup hot water for 10 minutes. now in a pan take 3 tsp oil and roast 18 clove garlic. 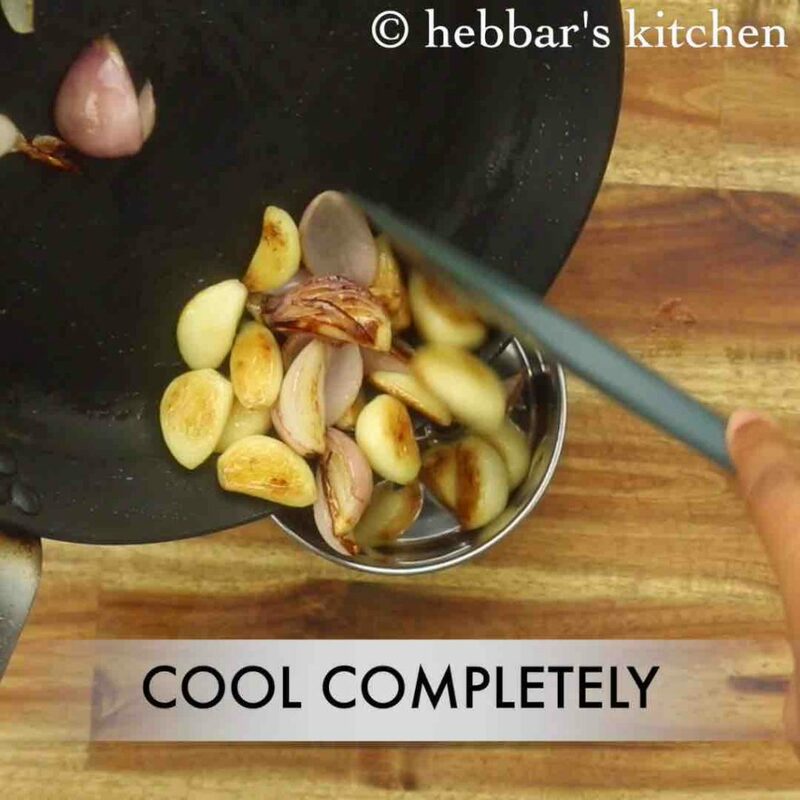 once the blister appears on garlic add 3 shallots. saute until the onions and garlic turn golden brown. 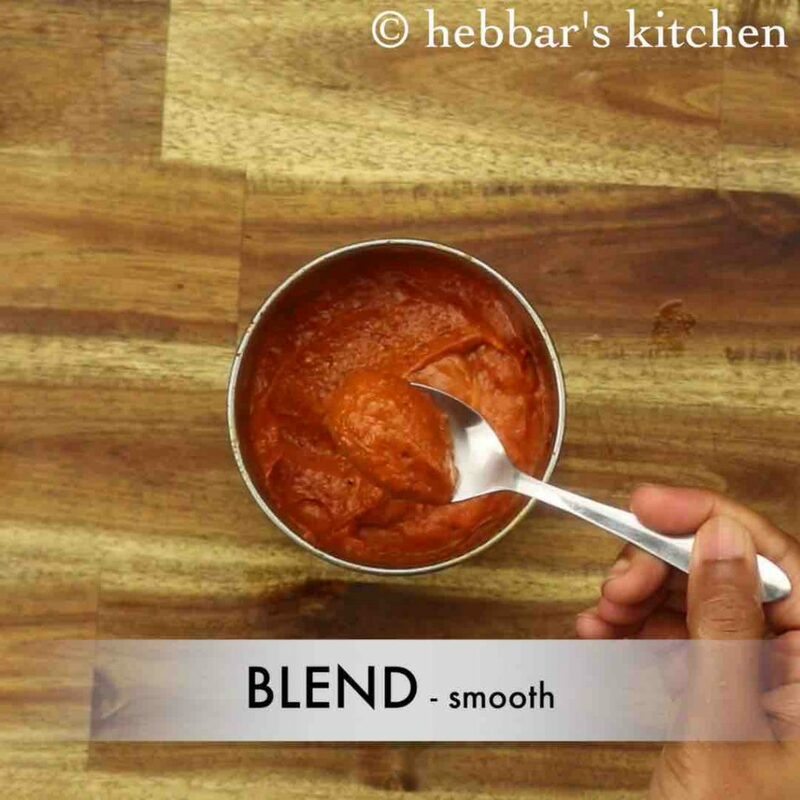 cool the mixture completely, and transfer to the blender. 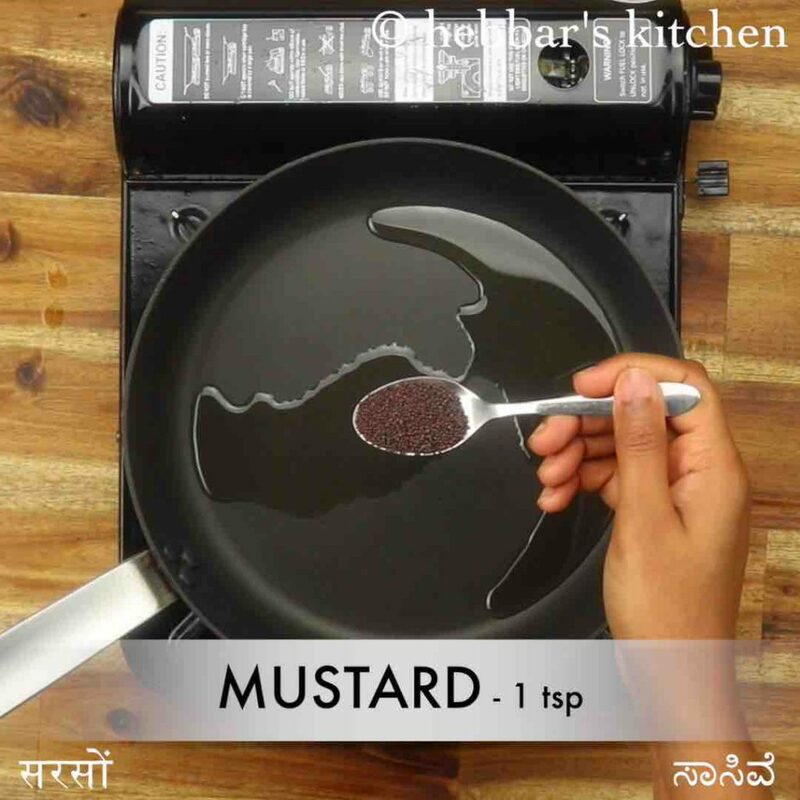 in a pan heat 2 tbsp oil and splutter 1 tsp mustard, ½ tsp urad dal, pinch hing and few curry leaves. now add in prepared chutney and cook for a minute. after a minute, the oil will start to release out. 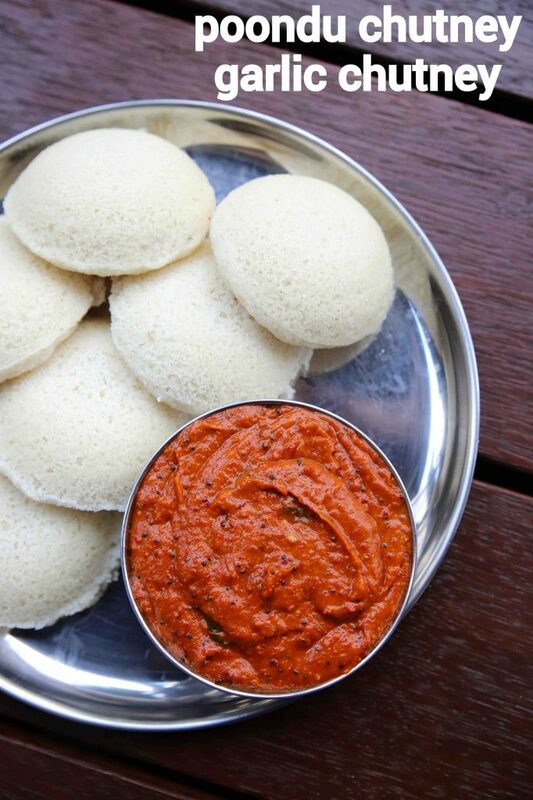 finally, enjoy poondu chutney or garlic chutney with idli. 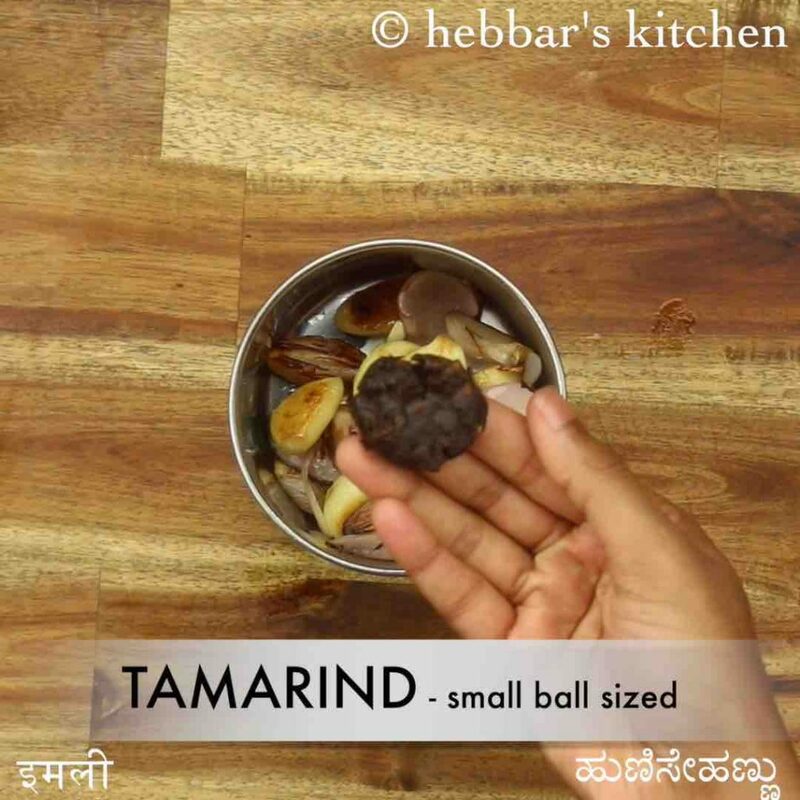 also add small ball sized tamarind, ½ tsp salt and soaked dried red chilli. 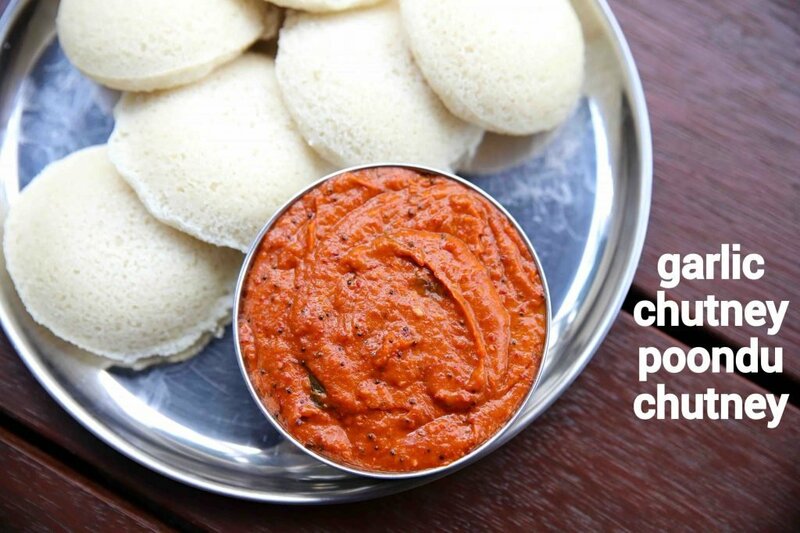 finally, enjoy poondu chutney or garlic chutney with idli and dosa. firstly, roast the garlic well, else the raw flavour of garlic will spoil the taste. also, cooking chutney with tempering will increase the shelf life. this can be skipped and tempering can be just poured over chutney. 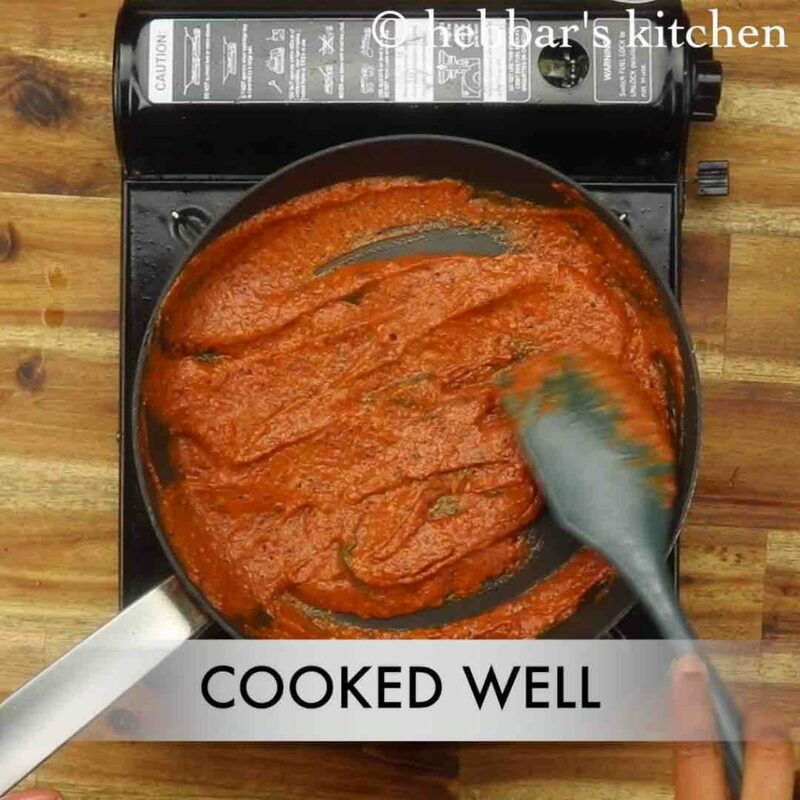 additionally, adjust the amount of red chilli to the spice level you are looking for. finally, poondu chutney or garlic chutney recipe tastes good for a week when refrigerated.